An Elizabeth Casson Trust funded study looking at the return to work after stroke has been completed. Dr Julie Phillips. 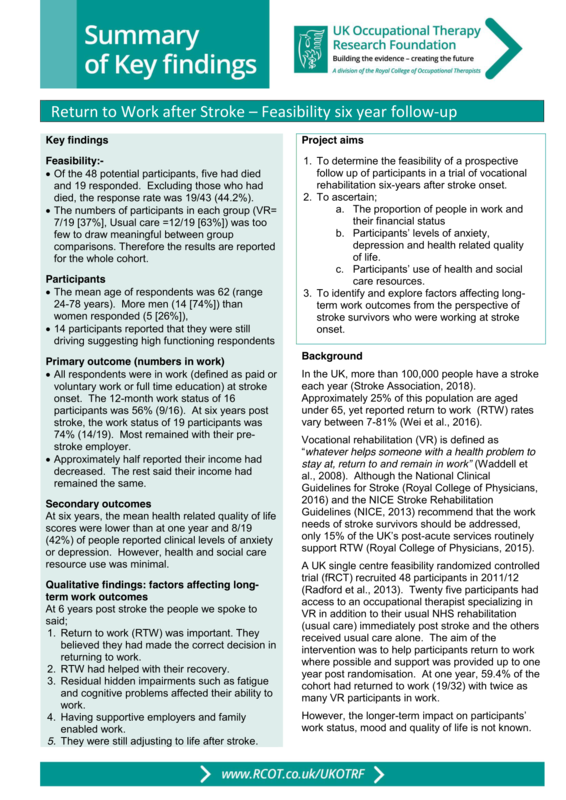 A summary of the key findings can be found on the RCOT website. Of those findings, it is reported that return to work after stroke is highly valued and many people are able to continue with their pre-stroke employer; however, they also continue to experience residual invisible impairments. Dr Phillips will be presenting on her work at the RCOT 2018 conference in Belfast.